The Carver, written by Jacob Devlin, is about a 15-year-old boy named Crescenzo. His mother and best friend mysteriously disappeared years ago, and he is quite lonely. His father spends his time carving figurines and giving them to Crescenzo, who shrugs them aside as “stupid toys.” However, when a strange man kidnaps his father, Crescenzo is thrown into a quest to find the people depicted in the figurines. As he travels across the country, he has amazing adventures and meets new friends. Pietro is a child in a man’s body with an unusual shadow. Rosana is a homeless girl with a red hoodie and a curious habit of vanishing. Liam is a prince from a far-off land, or so he says. Heather is a movie star who portrays a fairy a bit too well. The Carver takes iconic characters and settings from classic fairy tales and places them within dark, suspenseful situations, adding up to a thrilling plot. Many foreshadowing events and phrases act as clues to the characters’ true identities, and those who are familiar with their stories can piece them together. Whether you know the tales by heart or have scarcely heard them, the twists and turns will keep you hooked to the end. Each chapter jumps back and forth between different places and times in the past and present, and while this effectively adds bits of foreshadowing and key plot points when needed, it is a little hard to follow and a bit confusing. I think Crescenzo is a fascinating character in the sense of how dynamic he is. As the book progresses, he transitions from a troubled kid who doesn’t believe the first thing about magic to an energetic boy ready to save the Old World. At first he thinks of his friends as eccentric and slightly delirious, but as he gets to know them, his views change. 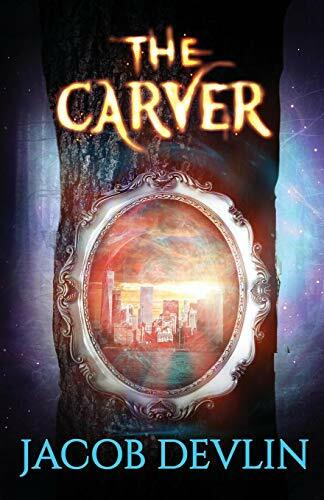 Anyone with a love of twisted, iconic fairy tales and a craving for a gripping plot will most definitely enjoy The Carver. There is mild language and violence.